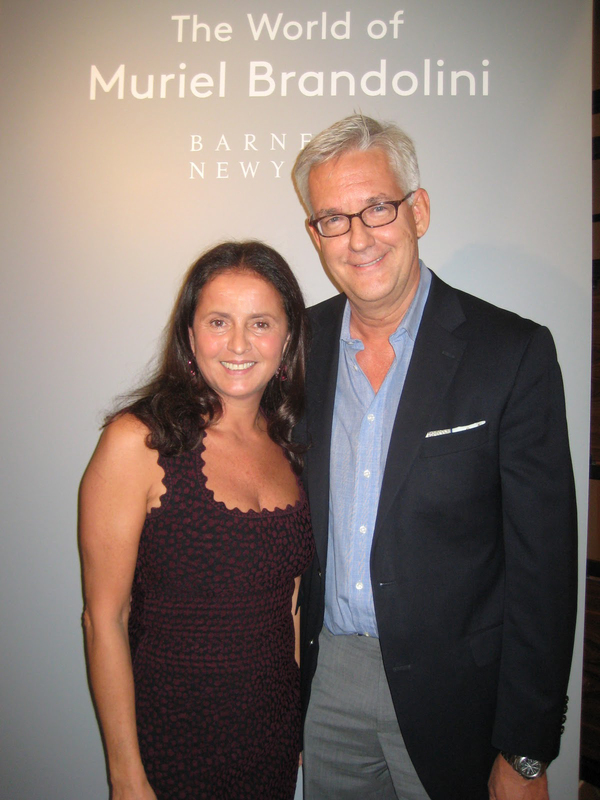 Last week I was invited to Barneys New York to celebrate the publication of the new book The World of Muriel Brandolini (Rizzoli) by the well-known international decorator. Barneys is also featuring right now an 800-square-foot pop-up store which sells Brandolini's limited-edition home collection produced exclusively for the store. And this past Friday, Phillips de Pury & Company auctioned 120 pieces of her personal collection including furniture, photography and decorative objects. 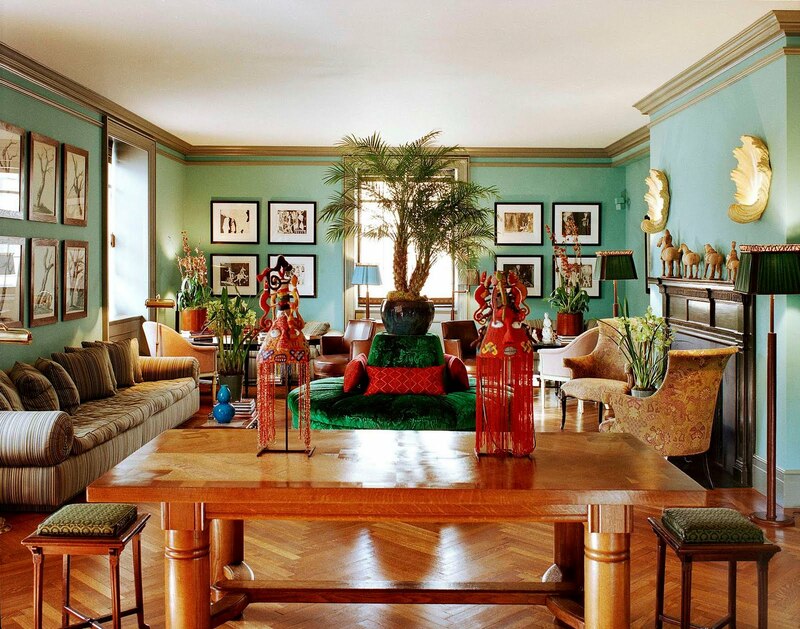 So right now it really is the world of Muriel Brandolini. The decorator grew up in Vietnam "during the 1960s, the height of the Vietnam War, when shelling and soldiers were part of daily life," she writes in the book. Her family moved to Martinique and then she lived in Paris before moving on to New York City where she met her husband-to-be financier Nuno Brandolini, a Count in the aristocratic Italian Brandolini family. The couple have a son and a daughter. 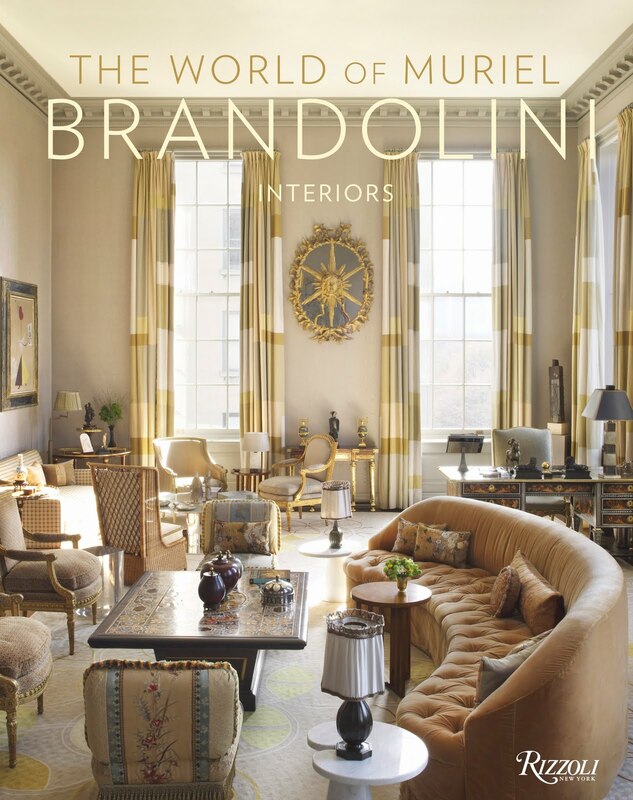 In lush photography, principally shot by Pieter Estersohn, the book celebrates Brandolini's decorating work as it has developed over her career. Her global background expresses itself with bright colors, luxe fabrics, a fearless mix of periods, and combining Eastern and Western styles together for a cohesive whole that is the signature Brandolini look. In her own New York City dining room on the Upper East Side, below, Brandolini covered the walls with purple hand-blocked fabric from her own collection and placed a Chinese red-laquer opium bed for lounging. It's all pretty delicious. The party at Barneys was a swanky affair – a lot of stylish Europeans speaking Italian. A woman wore a simple black dress with a white evening coat over it, and black sling-backs. It had that Italian polished nonchalance and reminded me of Tom Ford Gucci. Oh, and Uma Thurman was there. I didn't recognize her because she was dressed casually but when I heard her low, distinctive voice, my head snapped around. I wanted to tell her that she was in one of my favorite beautiful movies of all time – The Golden Bowl. When I got off the elevator to enter the event the first thing I noticed was that the party smelled good. That's because bespoke jeweler and Brandolini pal James Givenchy produced a small collection of scented candles for Taffin available at Barneys ($65 each), and one of the three scents – Fleur d'Oranger – was wafting through the party. The combination of lily of the valley and orange flower is Muriel's favorite, and scents her home. I received one as a gift and lit it on our mantelpiece. I am not really a scented candle guy but I like this one very much. It's not too strong, and the fragrant blend of orange and flower creates a sophisticated mood that is both European and exotic, just like Muriel Brandolini. Bart, the party memories will last forever! Sounds wonderful, and truly privileged to see some of the interiors of Muriel's gorgeous, and gracious, home. Favorite photo is the one of her, and her adorable, kids. Cher designed her living room around such a bed..bold! her sense of style is truly incredible.